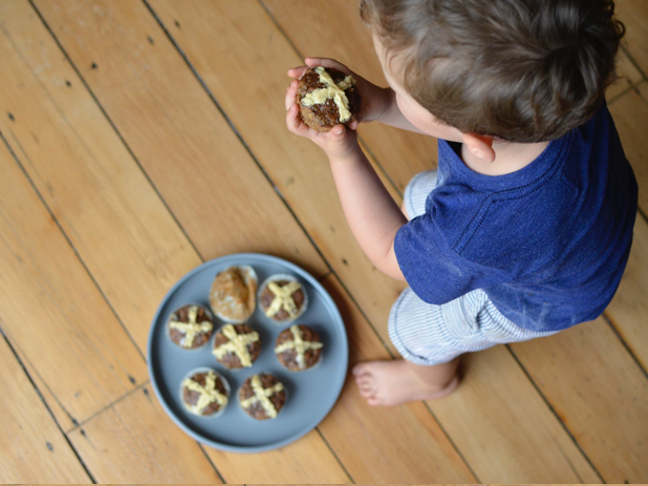 I’m that crazy mum that does a happy dance at the bakery when they start stocking hot cross buns for Easter. I adore the mix of sultanas, cinnamon and the sticky, yummy glaze that covers the top. They’re just perfect. Hot, cold, toasted with butter or eaten straight from the freezer – I’ll take them anyway I can get ‘em. 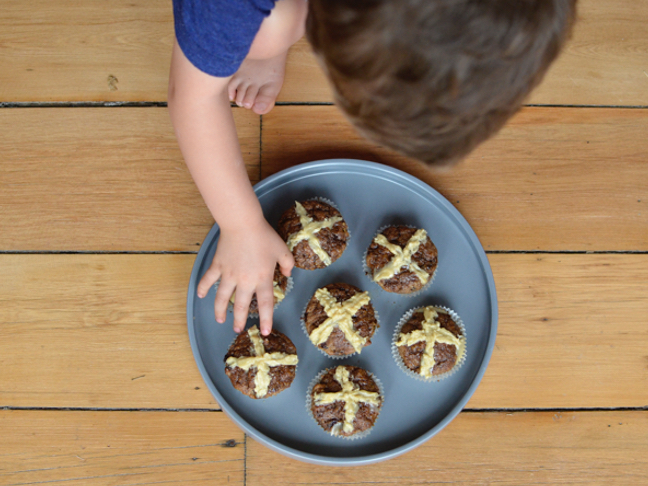 So in a quest to put a spin on my favourite hot cross bun fix, I wrote this incredibly delicious and easy Easter recipe. Now you too can enjoy the same cosy flavour, just a little sweeter. Oh and be sure to get your little ones to help make these too, they’re great fun and a reasonably healthy treat for them too. Preheat your oven to 180°C and line a 12-case muffin tray with cupcake wrappers (I like to double-up my wrappers so they keep their shape really well). In a bowl, cream the butter and sugar until light and fluffy. Now add the egg and mix until just combined. Then, stir in the yoghurt, spices, zest and salt and set aside. 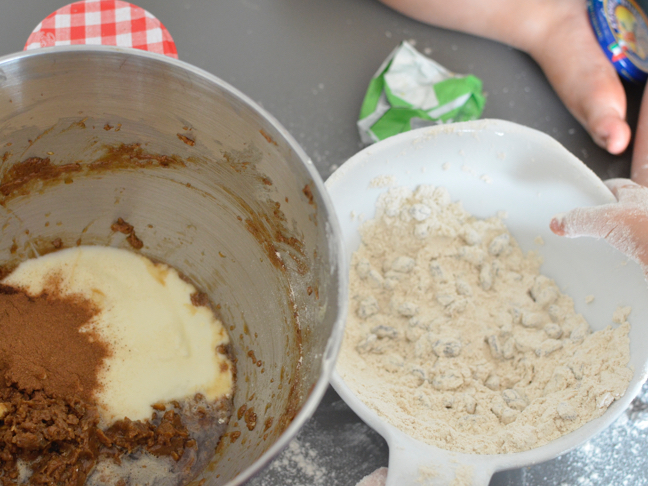 Now moving on to the ‘dry’ ingredients. 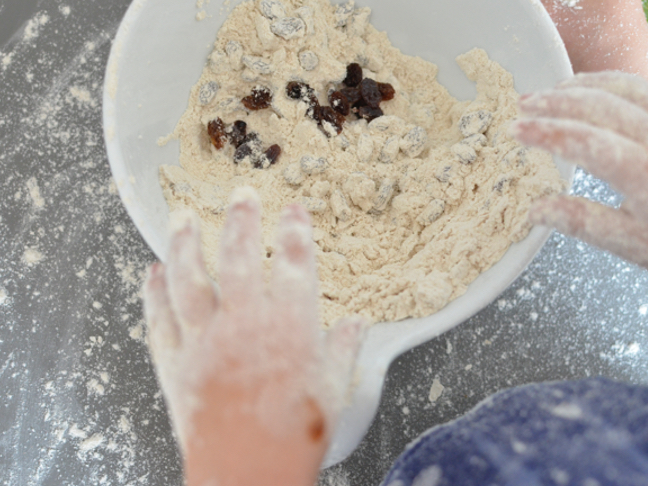 Sift the flour and baking powder together in a separate bowl and stir through the sultanas (adding them now will ensure the sultanas don’t stick together and sink to the bottom of your yummy cupcakes). 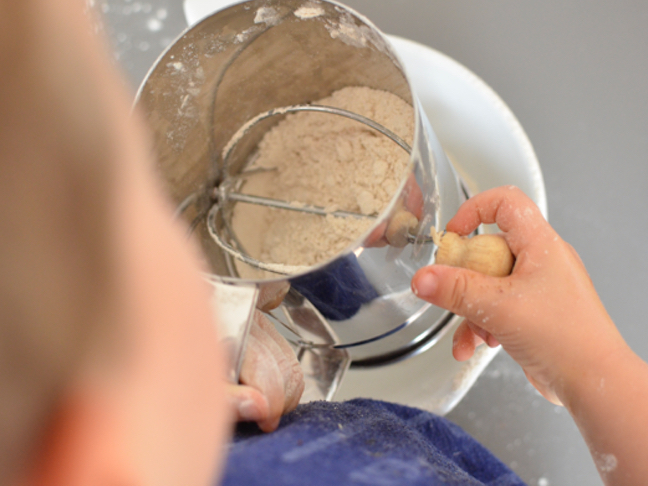 Combine the wet and dry ingredients ensuring you don’t over mix. Spoon the mixture into the cupcake wrappers and bake in the oven for 20 minutes while you prepare the glaze. Popping a skewer into the middle of a cupcake is a good trick to check if they’re cooked – if it comes out clean, they’re perfectly done. Heat all the glaze ingredients in a saucepan over a low heat. 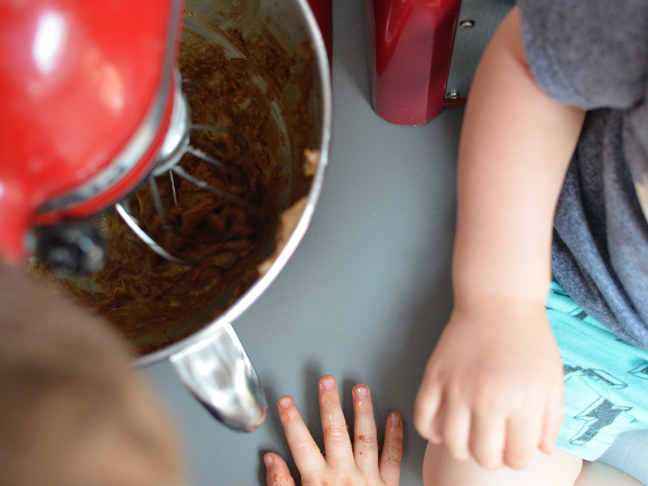 Once the sugar is melted and the mixture is just bubbling, take it off the heat and let it sit until the cupcakes are out of the oven. 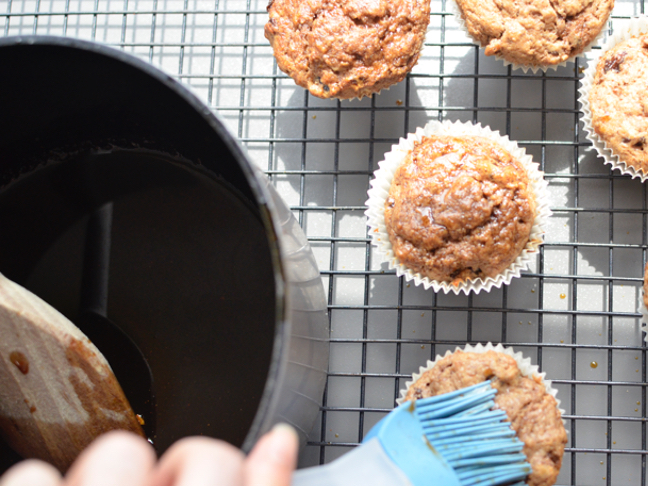 When the cupcakes are done, pop them on the countertop and spoon the glaze over the top while they’re still warm. Be generous and if you like, remove the cupcakes from the wrappers so the glaze spills down the sides too. Double yum! Once the cupcakes have cooled, melt the chocolate, pop it into a piping bag (or a snap-lock bag with a snip in one corner to mimic a pipping bag) and then pipe a ‘cross’ onto each. Enjoy as is or pop into an airtight container and into the fridge or left on the countertop for a few days. 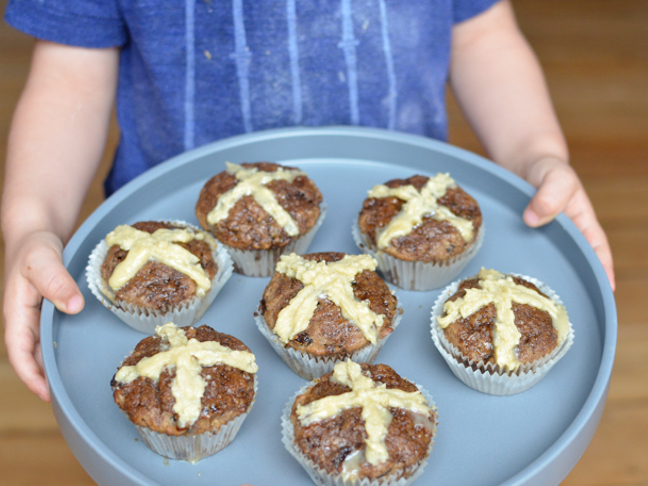 If you leave them to cool and keep, heat them up for a few seconds in the microwave before eating, like hot cross buns these are better just warm. The yoghurt in these cupcakes gives them a great ‘light’ texture. Enjoy a spoonful or two as you're cooking to ensure you get the added benefit of the yoghurt's probiotics. 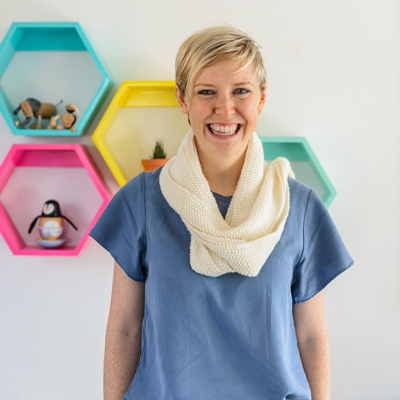 We love probiotics – they strengthen our immune system and make all the food we gobble down a lot easier to digest, but they are killed at high temperatures during cooking.